While Sunflowers usually volunteer to grow in this spot under my clothespole bird feeders, this year I made a concerted effort to grow Mammoth Sunflowers. 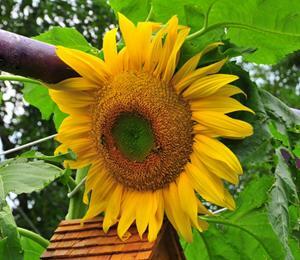 This particular Sunflower was the tallest of them all, it grows up around he top of my clothesline pole and then made a natural hook and headed down the other side. I did end up bracing it for support as the last thing I wanted was for a big wind to come along and knock it down as it is so beautiful. 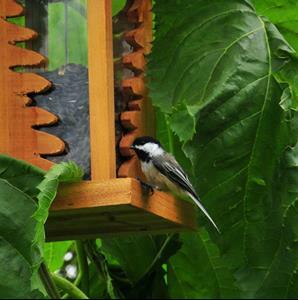 If you look closely, you can also see a couple of bees eating their fill from the flower head itself, while the Chickadees savor the already harvested seeds in the feeder below. 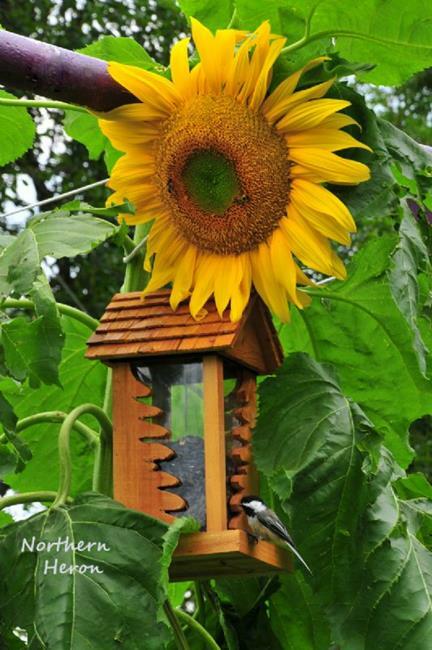 The fun part of having such a huge Sunflower is watching the birds hop along the huge leaves on their way to the feeder, hence the title to the image. 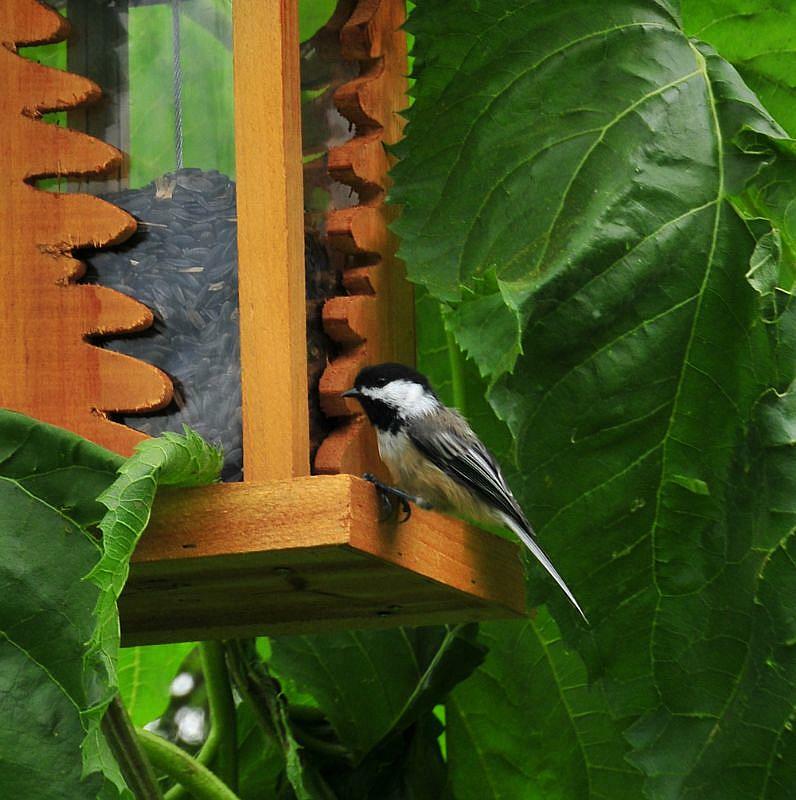 This spot has been a favorite among neighboring Chickadees for the 17 years I have lived here, Since then I started hanging the feeders and it is quite busy. It is an added bonus to have them around to keep me company while I'm hanging the laundry on my clotheslines. They fly low and greet me with their sweet song as sheets flap in the wind. To date there has never been a sheet accident, which was a concern at the beginning.